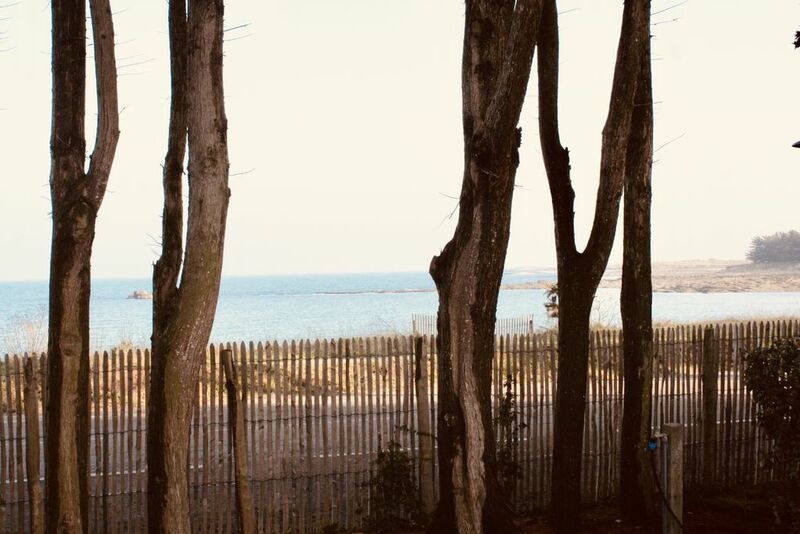 "Love at first sight" - Mobilhome Sea View 6 / 8p at the Holiday Village Conguel **** in Quiberon 10 meters from the beach. Enjoy peacefully your holidays in our brand new mobile home, the sunrise at the rendezvous each morning. Our mobilhome of 37m2 consists of a large living room and kitchen, 3 bedrooms, one with dressing room, a bathroom, a separate toilet, and a semi-covered terrace, come and spend an unforgettable holiday just 10 meters from the sea and in the heart of a lively holiday village. The Village offers daily entertainment to brighten your day. The 4 * service of the reception guarantees you a peaceful stay. Access to the play areas is free: inflatable structures, slides, swing, petanque, barbecue area. The Fun Pass Club offers the following services: a bar, a restaurant, a take-away service, a grocery store and an aquatic area. The latter is composed of outdoor pools (suitable for adults and toddlers), a covered balneotherapy pool (with Jacuzzi) and water slides. In order to benefit from the fun pass club, all you have to do is buy the fun pass. If you provide us with your details (name, surname, age of each traveler, email address, and license plate) 4 days before your arrival, you can benefit from 20% by ordering 72 hours before your arrival directly on the site SIBLU. The campsite also has a launderette and bicycles for rent! The mobile home is located at the Pointe du Conguel, a mythical place on the Quercon peninsula to walk around and observe the surrounding islands (Houat, Hoedic and Belle-ile). Your host will give you his tips and offer his concierge services (full fridge, prepared beds, cleaning, laundry, restaurant reservations, taxi, boat). You can contact Marie to prepare your holidays. Inside: dishwasher, TV, CD / radio, oven, microwave, coffee machine, toaster, kettle, hair dryer, fridge with freezer, convectors in the living room and bathroom, tancarville , board games. Free Wifi at the campsite bar, 4G network. From 03/08 to 25/08: 7 nights minimum - 1350 euros the week. and guarantee badge of 50euros.